Brazil’s general election, which kicks off this Sunday, will be one of the biggest tests of its democracy in three decades. The country has been reeling from rampant official corruption, a sputtering economy, a worrisome fiscal imbalance, and one of the world’s worst rates of violent crime. But many observers fear the two front-runners for president—one from the far right and one from the far left—could make matters worse. On October 7, Brazilians will cast ballots for state legislators, governors, nearly six hundred members of congress, and president. 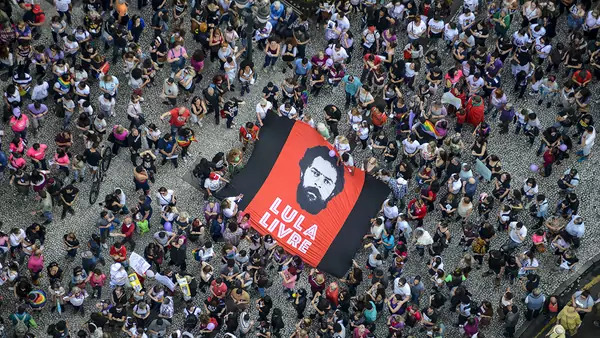 The general election will be Brazil’s first since a nearly three-year economic recession cut gross domestic product (GDP) per capita by 10 percent and plunged millions into poverty. It will also be the first since the Lava Jato (Car Wash) corruption probe exposed billions of dollars’ worth of graft among hundreds of business leaders and politicians. Brazilians are hungry for change. Last year, 95 percent of Brazilians said that political corruption is a major problem, while 87 percent were unsatisfied with their democracy. If no presidential candidate surpasses 50 percent of the vote on Sunday, as most analysts expect, the top two will compete in a runoff on October 28. Jair Bolsonaro, Social Liberal Party. Leading the polls is Bolsonaro, a right-wing former army captain whom Brazilian newspapers have dubbed “the Trump of the Tropics” for his populist appeal. Although he has nearly three decades of congressional experience, Bolsonaro sells himself as an outsider who will crack down on rampant crime and corruption. Some political analysts fear he will resort to authoritarian tactics, if elected, given his support for the 1964–1985 military dictatorship and his advocacy of the extrajudicial killing of criminals. Meanwhile, he espouses ultraconservative social views on women, minorities, and the LGBT community. His economic advisor, Paulo Guedes, advocates privatizing one-third of Brazil’s state-controlled companies, but Bolsonaro’s commitment to free-market reforms is untested. Fernando Haddad, Workers’ Party. Trailing Bolsonaro is Haddad, the hand-picked successor of former President Luiz Inacio Lula da Silva, who was recently jailed for twelve years for corruption and money laundering. Haddad, a former minister and mayor of Brazil’s largest city, Sao Paulo, is struggling to shake the perception that he represents more of the same. He devised much of the policy agenda of the left-wing Workers’ Party, which many accuse of turning a blind eye to corruption during its thirteen years in power. Dark horses. Other presidential hopefuls include environmentalist and former Senator Marina Silva, former minister Ciro Gomes, and former Sao Paulo Governor Geraldo Alckmin, whose promised market-friendly reforms make him a favorite among the business elite. The next administration will need to pull Brazil’s economy out of a dangerous stall. GDP has expanded for five straight quarters but at a sluggish pace, and most economists forecast 2018 growth to fall below 1.5 percent. Meanwhile, unemployment remains stubbornly high at 13 percent. What’s more, Brazil is running a significant budget deficit, piling onto a debt level—about 80 percent of GDP—that is already the highest among emerging markets. The next president must pass fiscal reforms that have proven uphill battles in the past, including for pensions and the public-sector payroll. The election will also pose a litmus test for Brazil’s young democracy. Bolsonaro’s penchant for authoritarianism aside, analysts warn that either of the front-runners—both of whom are polarizing—will likely struggle to cobble together sufficient support for any real reforms, including much-needed measures to strengthen discredited democratic institutions.